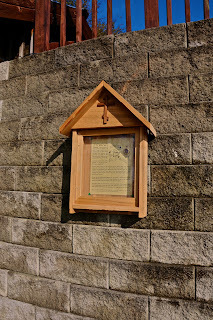 When we first arrived in the Fall of 2010 we set about to establish this place as a space of prayer. Much has been accomplished, yet; there is still a great deal yet to do. Upon purchasing the property, there was (and continues to be) many physical projects necessary to aesthetically conform the grounds to the atmosphere necessary for a skete. That is … an atmosphere of prayer. We are working on these projects, slowly but surely, one at a time as funding, available labor and weather permits. 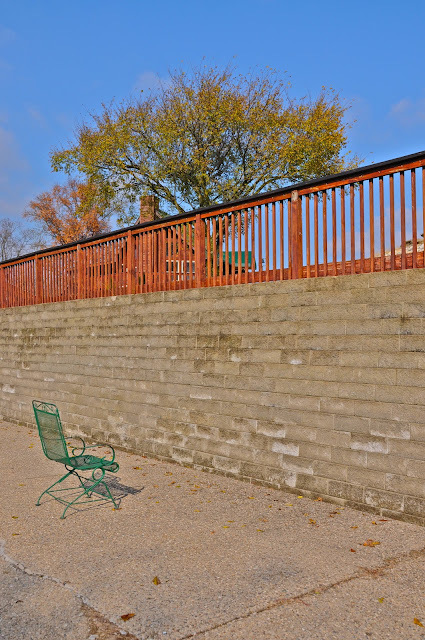 It requires a tremendous amount of upkeep to maintain the property. 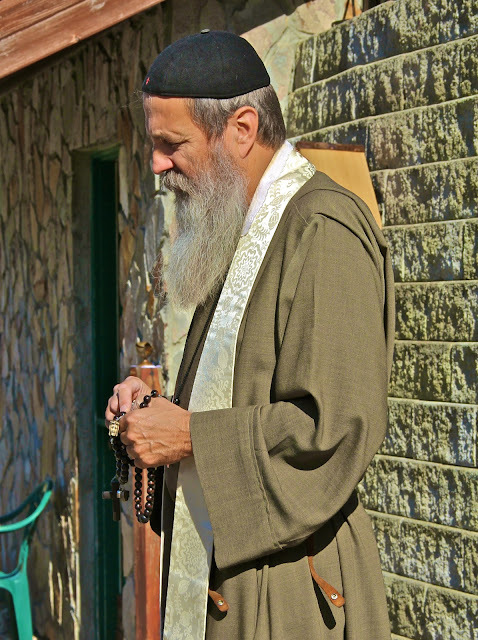 It cannot be said too often, or stressed enough that St. Simeon Skete is about prayer, everything we do stems, circulates and grows from that prayer. The Skete is the heart of Nazareth House Apostolate which enables the blood to circulate throughout the body. The work, Ongoing prayer, was going on – way before we relocated to Taylorsville, there has been no change in that, only the location is different. 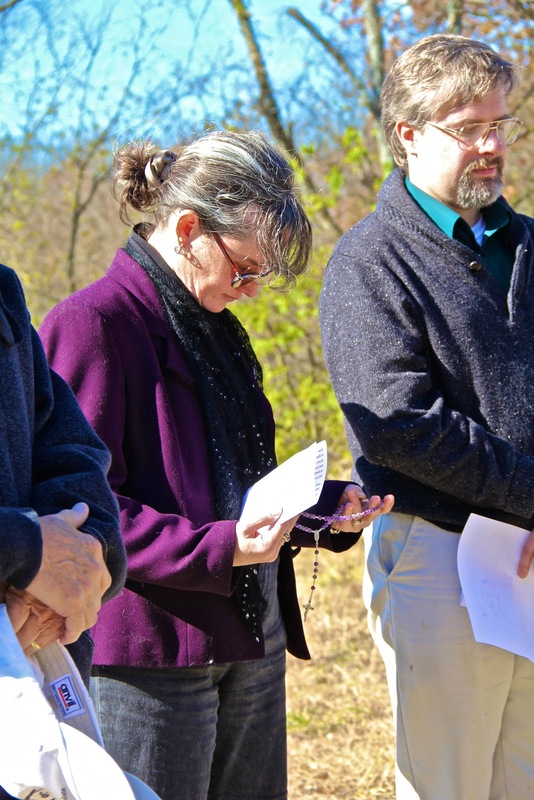 It is at the skete that we hope to expand that prayer with vocations. Those who will give up the attractions of the world to come and live this life of prayer at the Skete. There was a time when people believed that prayer, at this level, was necessary and subsequently vocations were plentiful. 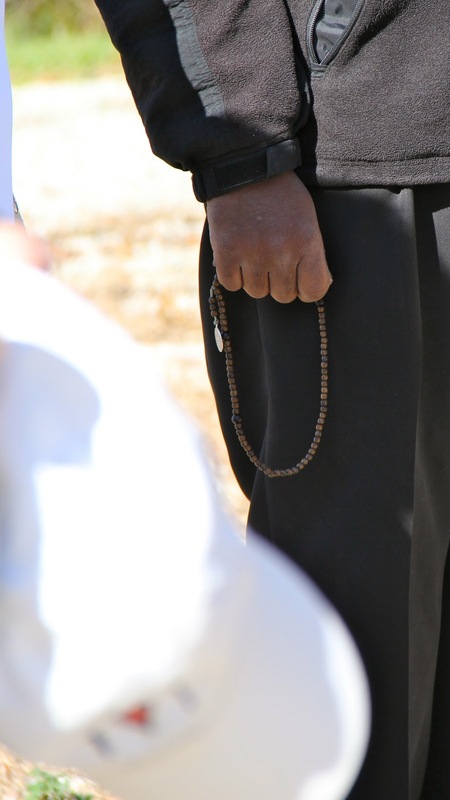 As the world becomes more materialistic, and turns away from God, vocations begin to drop. As places such as Nazareth House Apostolate’s St. Simeon Skete dwindle in number, we see the world spiraling. As monasteries, sketes and religious orders “close up” their absence in the world furthers the rapid decline of society. The world needs more places devoted to ceaseless prayer. Just recently some friends in the Philippines ran to the Convent when ISIS invaded their land. People asked, “Why did you run to the Convent, wouldn’t that be a target?” “It doesn’t matter,” they replied, “Its what you do when you are troubled” You go to the places of prayer. In a world where technology is supposed to make life easier, we find more and more people unhappy, struggling, rushed, overworked, less time to themselves and overwhelmed. People need to know that there is somewhere in the world where people are praying – praying for society, for the world. – people need to know that in the midst of their struggle there are those who are praying for them at the skete. It doesn’t matter if the trouble dissipates or not – its important to know that while your in the struggle – you are not alone, someone is praying for you. 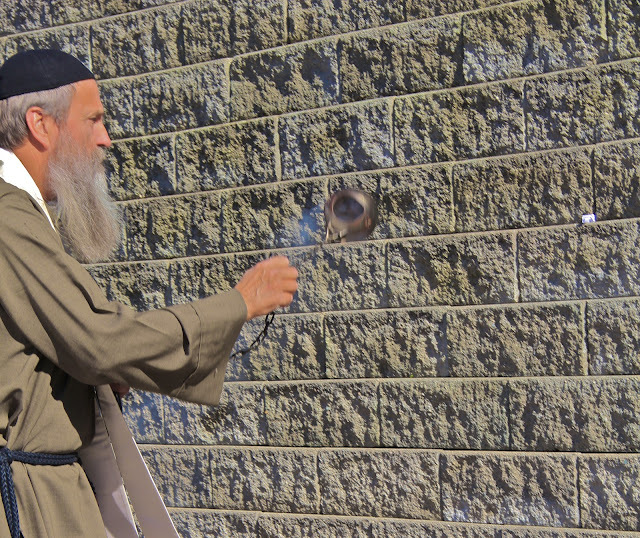 On Sunday, November 6th, 2011, we officially opened the Wailing Wall of St. Simeon Skete. 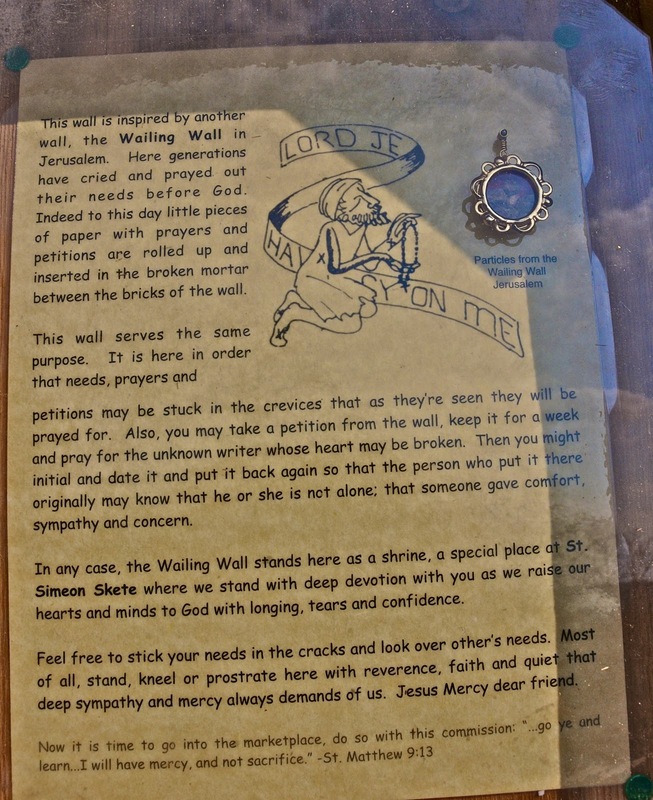 On that day the wall was blessed, and the first prayers were inserted into the cracks. “This wall is inspired by another wall, the Wailing Wall in Jerusalem. In Jerusalem generations have cried and prayed out their needs before God. 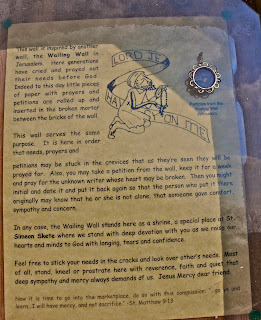 Indeed to this day little pieces of paper with prayers and petitions are rolled up and inserted in the broken mortar between the bricks of the Wailing Wall. 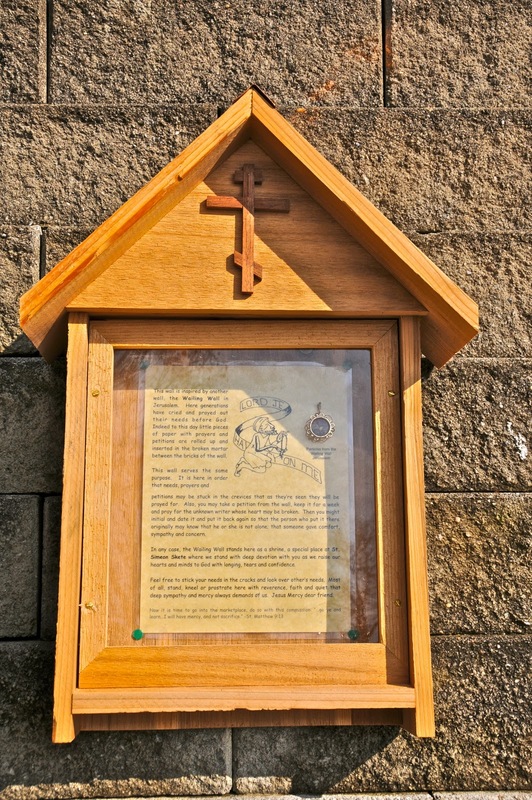 Daily, the prayers requests come in, each prayer request is then taken and placed in the Offering of the Daily Mass at the Skete. 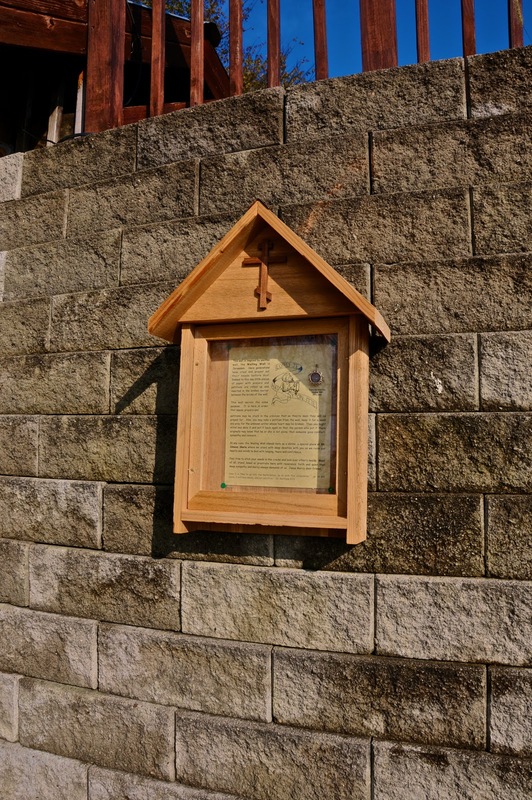 After the Holy Mass, each Prayer Request is taken to the Prayer Wall, prayed over, placed into The Holy Name of Jesus and inserted into the cracks. 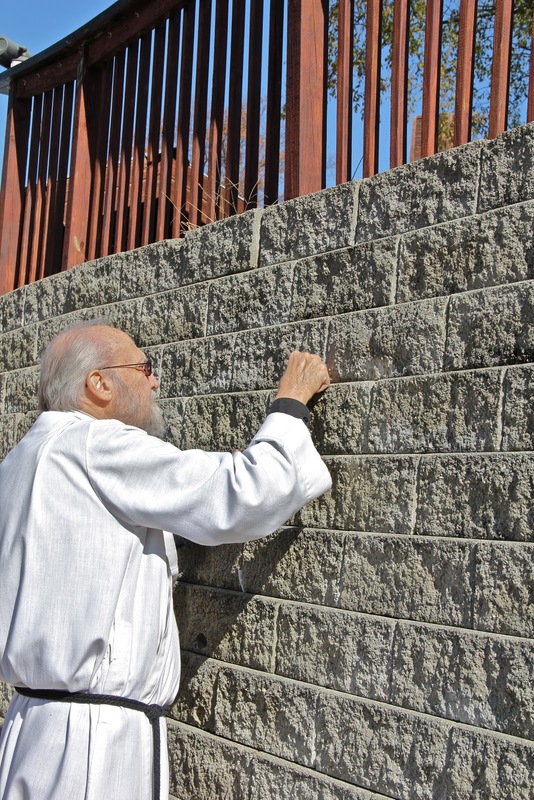 Today, the wall’s crevices are filling.